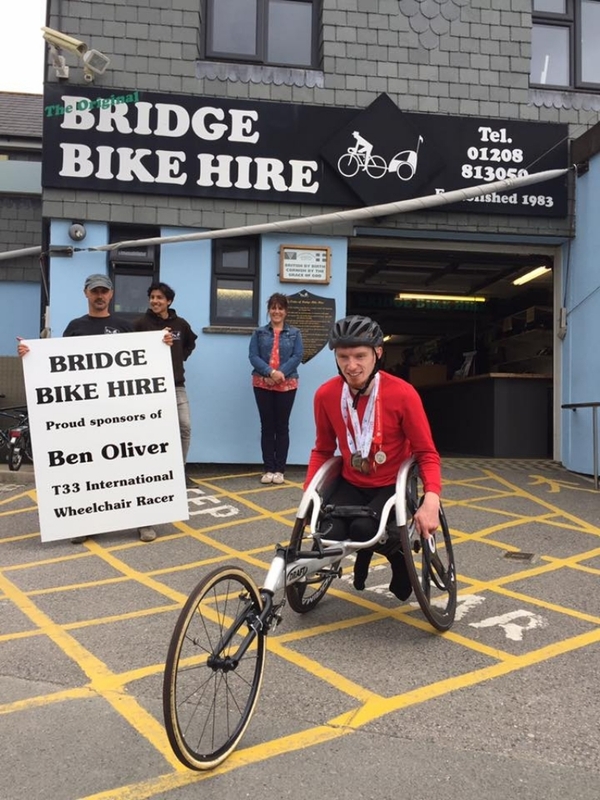 Ben's excited at reciveing his carbon Wheels from bridge Bike Hire! Hi guys just a quick blog update for you. So continuing on from my previous post I am now in training for the next Stoke Mandeville meeting in 2 and a half weeks time. The main focus this time is going to be the 1500m. I've never officially competed in this race before so not sure how it will go but have high hopes I can do well. I'm not going to lie its been pretty tough this week training as the weather has been extremely hot as I'm sure you are all aware. I had a very tough session on Sunday and thought I was going to be sick from heat exhaustion at one point but managed to cool myself down properly and drink plenty of water afterwards. The rest of the week however was much better and have definitely noticed a huge difference in my fitness since working more on distance training now, should be a sign of things to come. In other news I will be receiving a pair of carbon wheels soon all thanks to Nigel Wigget and the guys at Bridge Bike Hire. These wheels are a much better design than the spoke wheels I have been using as they reduce the overall weight of the chair and the amount of force required to propel the chair. Having these wheels should then allow me to perform quicker times and improve my training also. Anyway I will post again after Stoke Mandeville to let you know the results, should be a good outcome!